Ready to journey and walk with ReconciliAsian in 2019? Participate in our crowdfunding campaign and get ready to give ❤️ We are grateful for donations that keep our organization sustainable and be able to promote a culture of peacemaking and reconciliation in our communities. From Nov 15th-30th, we are launching a 15 day fundraising campaign to raise $15,000 on Facebook and Instagram. Please share with friends and family who may be interested in supporting ReconciliAsian and help us reach our goal. Thank you! We are excited to have Dr. Inyeop Lee as a main presenter for the Reconciliation in the Korean Peninsula Conference. Dr. Lee is an assistant professor of politics and history at Spring Arbor University in Michigan. 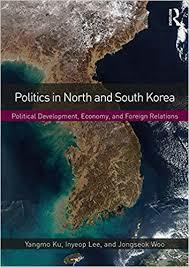 He recently co-wrote a book entitled, Politics in North and South Korea: Political Development, Economy, and Foreign Relations (2018). Dr. Lee is originally from South Korea and earned his two master’s degrees from Seoul National University and George Washington University. He finished his doctoral dissertation on the U.S. foreign policy toward North Korea at the University of Georgia. His research interest is East Asian Security and Politics and U.S. foreign policy, and he teaches various courses in International Relations, Comparative Politics and American government. REGISTER: Please email us at reconciliasian@gmail.com or call 213-255-8886. Our office has moved to Koreatown! 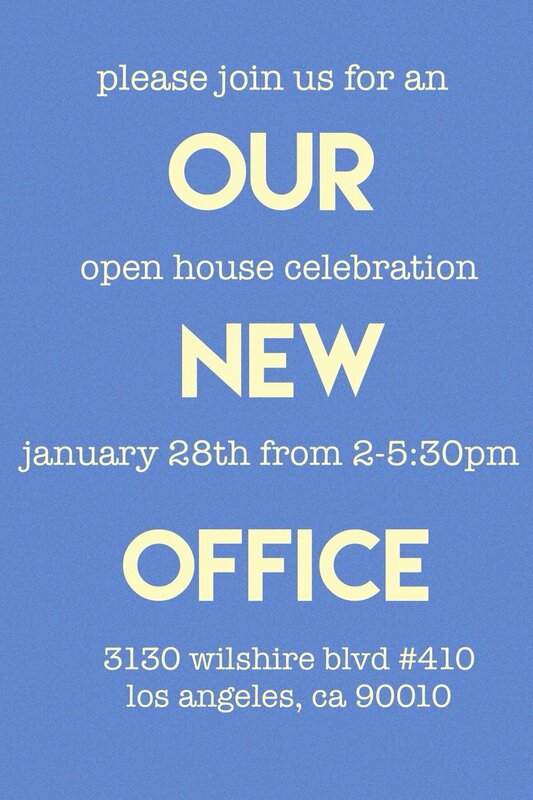 Drop by the new office located at 3130 Wilshire Blvd. #410 Los Angeles, CA 90010 on January 28th (Sun) anytime from 2:00-5:30pm. We hope some of you who are local can stop by so we can personally thank you for your encouragement and support contributing to the birth and expansion of this ministry. This month also marks the 5th anniversary of ReconciliAsian- a signficant milestone for us. There will be cake, fruit, and coffee to celebrate this special occasion. We hope to see you on the 28th! Friends, it's time to pray. As the tension increases between North Korea and the US, we need to come together and call out to God and seek the way of peace. We are holding a special prayer gathering for the next 4 Tuesdays. If you are around the Pasadena area, we would love to have you join us at the Hur residence. Please call 213-255-8883 or email reconciliasian@gmail.com for the address. Friends, no matter where you stand regarding North Korea, we must not respond with "fire and fury like the world has never seen.” Even without nuclear weapons, over 11 million people will die in North and South Korea within hours if there are missile strikes. Please take a moment to pray for the Korean Peninsula. Pray also for the leaders of NK and the US that they would take the path of peace, not annihilation. But we must also pray on our feet. We need to educate and organize as well. If you are near Pasadena this FRIDAY (8/11), please consider joining us for an evening to "Watch and Pray." We will WATCH a 30 minute documentary to give us a historical context of the country that has been officially divided since 1953. Then we will PRAY together- lamenting and hoping together- in Korean and English. PM us at reconciliasian@gmail.com if you would like to RSVP and get the location of the meeting. If you already know where the Hurs live, come on over. Join us for a two-day forum to commemorate the 25th anniversary of the L.A.Riot- highlighting the impact on Korean-American, African-American, and Latino communities. April 2017, marks the 25th anniversary of the Los Angeles Uprising. The uprising began after a jury in Ventura County, California, acquitted four Los Angeles police officers who were caught on camera beating Rodney King, a young African-American man. What are the trauma we still carry? How have we been resilient? What are the issues we still need to name and address? How do we move with hope for the future? These are the questions we want to wrestle with our brothers and sisters from the community. When was the last time you rode your bike by the scenic local beaches for a good cause? Join us Saturday morning on December 3rd for a beautiful bike ride from Redondo Beach Pier to Dockweiler Beach, and help raise funds to send winter boots to orphans in North Korea. For the last couple of years, ReconciliAsian has partnered with Ignis Community (www.igniscommunity.org) to send boots to North Korean orphanages. This year, we made a shoe verification trip to ensure the children received their snow boots. This winter is expected to be one of the coldest winters in North Korea so your help is greatly needed. We invite you to come and ride with us, or sponsor a rider. On December 3rd, meet us at Redondo Beach Pier at 10am and ride up 7.5 miles north to Dockweiler Beach where a simple hot dog lunch will be provided. After lunch, we will ride back to Redondo Beach Pier completing a 15 mile ride. It's Giving Tuesday! 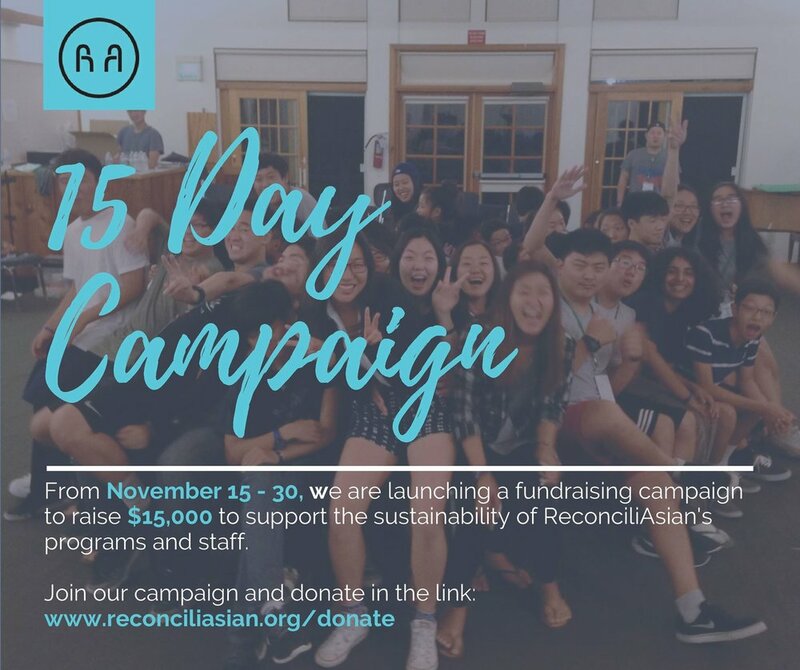 Please consider donating to ReconciliAsian today. We have generous donors who are willing to match what we raise today dollar for dollar. Teens going into grade 9 through 12. Teens look up! ReconciliAsian is hosting “We Are LA,” a camp promoting peace, diversity, and racial reconciliation. In remembrance of the 1992 LA riots, we will have discussions on immigration, racism, cultural awareness, as well as a variety of other topics. We’ll touch on questions such as: how do we learn about different cultures, how do we define being American, and, what’s the role of faith within the stories? Campers will have the opportunity to explore their own story and culture while learning about the multiple cultures surrounding LA. Interwoven between these conversations, we will have the opportunity to learn and explore historical landmarks in LA, hear stories from our community leaders, and visit our multi-ethnic neighborhoods. By sharing and telling stories, eating food together, as well as playing games and exploring the LA neighborhood, you will have the awesome chance to experience to define what being an Angeleno in LA is all about. Sign up online HERE. STAR Training: We've been waiting for this for a long time! ReconciliAsian is co-sponsoring a training with West Coast Mennonite Central Committee and Anabaptist Resource Center for February 8th – 13th, 2016 in Upland, CA. STAR Level 1 is a five-day trauma awareness and resilience training program originating from EMU’s Center for Justice and Peacebuilding. STAR brings together theory and practices from neurobiology, conflict transformation, human security, spirituality, and restorative justice to address the needs of trauma-impacted individuals and communities. For more information, please see the event flyer. Contact us if you are interested as space is limited to 25. Scholarships are available through ReconciliAsian, but you must sign up before January 7th! You are invited to our 3rd annual gathering to meet up with old and new friends interested in the ministry of ReconciliAsian. We will eat (bring a dessert or drinks to share) and hear about the newest projects ReconciliAsian has been involved in this year. It is also our annual fundraising event with raffle prizes and opportunities to support the ministry. We hope you can join us! <전략적 평화 세우기> 2차 북클럽 일정을 10월 16일-17일(금, 토)로 해야 할 것 같습니다. 산타클라리타에 사시는 이동철/백동희(Becky) 가정에서 1박 2일 리트릿 형식으로 모이려고 하는데, 그 날짜가 가장 적절할 것 같습니다. 모임은 금요일(10월 16일)저녁식사부터 시작해서 금요일 저녁에는 주로 재미있게 놀고 삶을 나누는 시간을 갖고 토요일 오전에 책나눔, 그리고 점심식사 후에 공식적인 모임을 마치고 원하시는 분들에 한해서 5-10분 거리에 있는 Vasquez Rock으로 놀러가는 일정입니다. 준비물은 세면도구와 침낭(가능하면), 회비는 1인당 10불 입니다. 인원 확인을 위해 참석 가능하신 분들은 속히 알려주시길 바랍니다. Please RSVP. Hope you can come! Preaching is hard work and pastors often feel most isolated in preparing for sermons. How can we prepare for messages more collaboratively? What are different ways we can deliver the message? Do we usually preach identifying ourselves as a Herald, Pastor, Storyteller or Witness? 작년에 이어 AMBS 신학교 설교학 교수이신 Allan Rudy-Froese 교수님의 워크샵이 9월 10일과 11일 열립니다. 이번에는 회중이 함께 준비하는 설교에 있어서 설교자의 자기인식(Herald, Pastor, Storyteller or Witness)과 그에 따르는 설교방식의 차이에 대해 배우고 실습하는 시간이 될 것입니다. 워크샵 I과 II는 다른 내용입니다. Please join us as we introduce our fall book, Little Book of Strategic Peacebuilding by Lisa Schirch. 70 years have passed since Korea has been divided. We believe that the peace and reconciliation between the North and South is the task that God has given to the Korean Christians for this generation. This is the ministry of reconciliation that God has entrusted us. A small group of Korean Americans have committed to this 530 mile challenge biking from San Francisco to Los Angeles. Their goal is to raise money to send winter boots to North Korean orphans. Like using two feet to pedal a bike towards a destination, we envision the two Koreas to collaborate in building a peaceful future together. The boots will be made by a non-profit company, Sunyanghana. With $10, you can help one orphan to have warm feet during the harsh winter. ReconciliAsian, in collaboration with Sunyanghana, is supporting this fundraising bike tour from San Francisco to Los Angeles. The goal is to send boots for orphans in North Korea. You can purchase the cool t-shirt for $10 designed by Alex Her. Supply is limited. Please also pray for the safety of all the participants! Thank you.